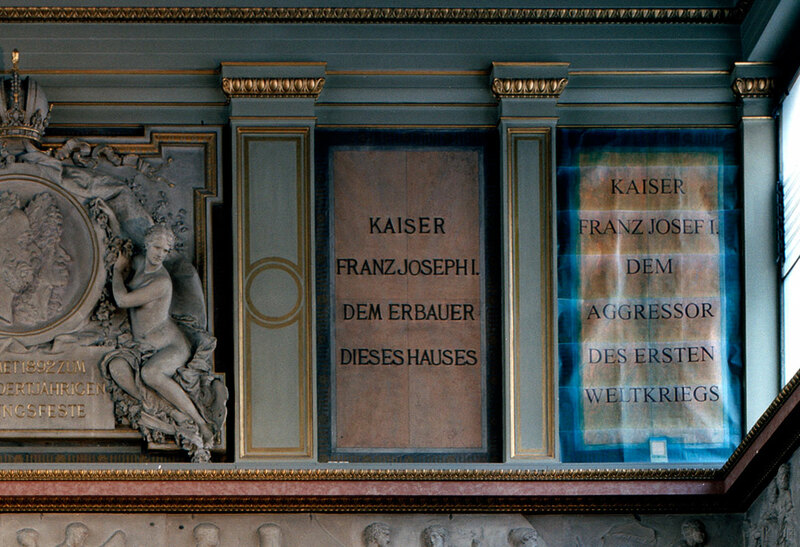 Austria’s monarchistic past is usually looked at with a glorifying gaze rather than a critical and analytical one. The rulers’ politics tend to be belittled or ignored, perhaps because they pale in comparison to the atrocities Hitler and other Austrians committed during Nazism. However, carrying out anti-Semitic policies and setting World Wars into motion has a long tradition in Austria. 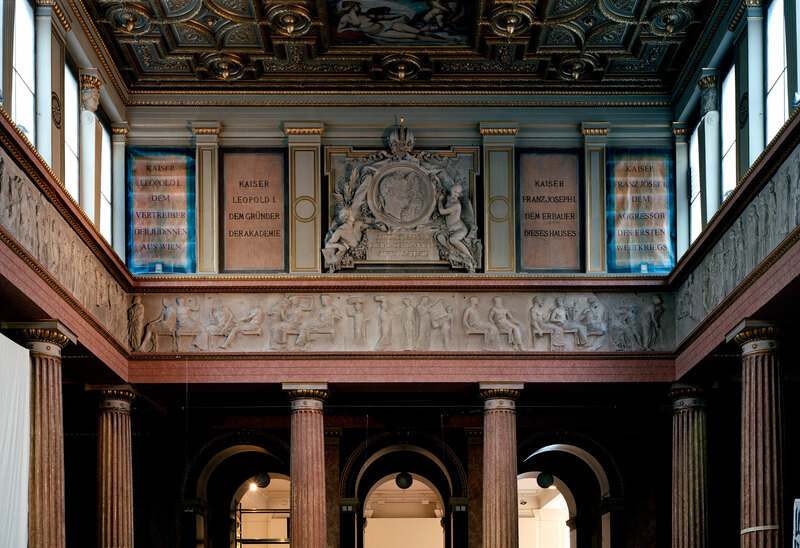 Two historical figures directly involved with those acts are being honored in a relief at the assembly hall of the Academy of Fine Arts Vienna. 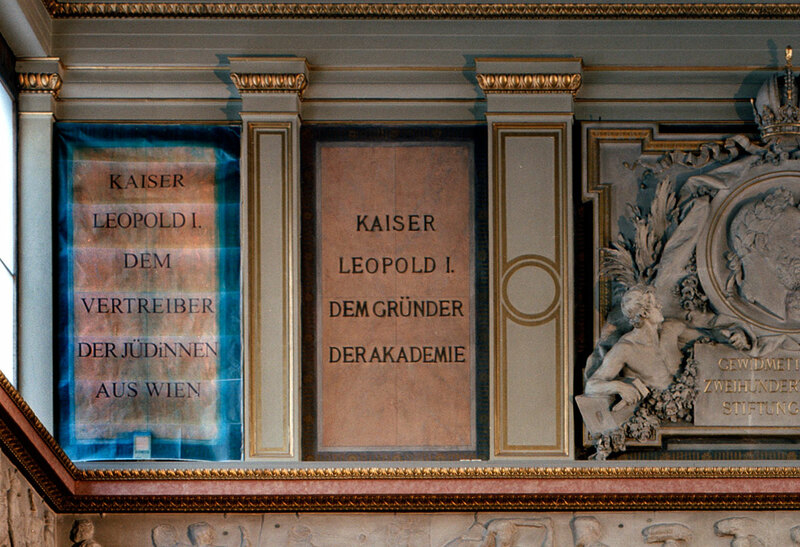 The relief is framed by two inscriptions: “To Kaiser Leopold I, founder of the Academy” and “To Franz Joseph I, erector of this building.” In January 2010 the Plattform Geschichtspolitik tried to evoke a discussion about the memorial by adding two appendixes: “To Kaiser Leopold I, who expelled the Jews from Vienna” (in 1670/71) and “To Franz Joseph I, who triggered WWI.” These additional appendixes remain alongside the original descriptions to this day.